DM Select Services fleet of air conditioning and heating service and installation professionals are prepared to solve your problems in a prompt manner. Our respect for every single Manassas customer and high quality of service is proven by our A+ rating with the Better Business Bureau and exceptional reviews on Yelp, Google and Angie’s List. We serve Manassas residential and commercial heating, air conditioning and plumbing needs. DM Select Services extremely skilled air conditioning techs can diagnose and fix your HVAC unit with friendly, around the clock repair service. Contact one of our air conditioning service professionals at DM Select Services to learn more about the repairs that we offer, including heat pump replacement, thermostat replacement, furnace repairs, and duct cleaning for your home or business. When you need to hire a Virginia HVAC contractor with the skills, knowledge, and customized expertise to help keep your system running the best it can, you can rely on us to show up on time and handle any issues you’re experiencing with your system. We’re happy to use our client-focused approach to save you money and keep your HVAC system working at its absolute best. If you have something break in your system so that it’s no longer repairable, we offer to finance so that you can install a more modern, cost-efficient HVAC system that will save you a great deal of money on your utility bills in the future. We’re local heating and air conditioning contractors, and we’re happy to offer HVAC maintenance, HVAC repair 24/7, and ongoing HVAC inspection service for both commercial and residential customers. We have more than sixty years of combined industry experience. Our skilled technicians are able to find any issues with your thermostat, heat pump, ventilation system, heater, or AC system. Our skilled professionals are sure to detect any type of wear and tear to your HVAC system. We’ve been able to save both business and home-owners a large amount of money with the HVAC services that we offer. Whether you need an emergency repair or routine maintenance for your system, we’re happy to show up fast, then do what it takes to get your system running efficiently and lower your energy bills. Reach out to us today if you need HVAC service in Manassas, VA area. Whether you need a home heating contractor or an HVAC agency, contact us today at 703-844-2435. When you need reliable local heating repair in Manassas, VA, you can trust DM Select Services and their team of highly skilled repair technicians. When the temperature drops sharply as winter approaches, you simply don’t want a heating system that isn’t functioning correctly. An imperfectly functioning heating system can leave your home or business dangerously cold or can shoot your heating bills sky high. We provide competitive prices on heater inspections, HVAC repair, and regular maintenance for your furnace or HVAC unit. 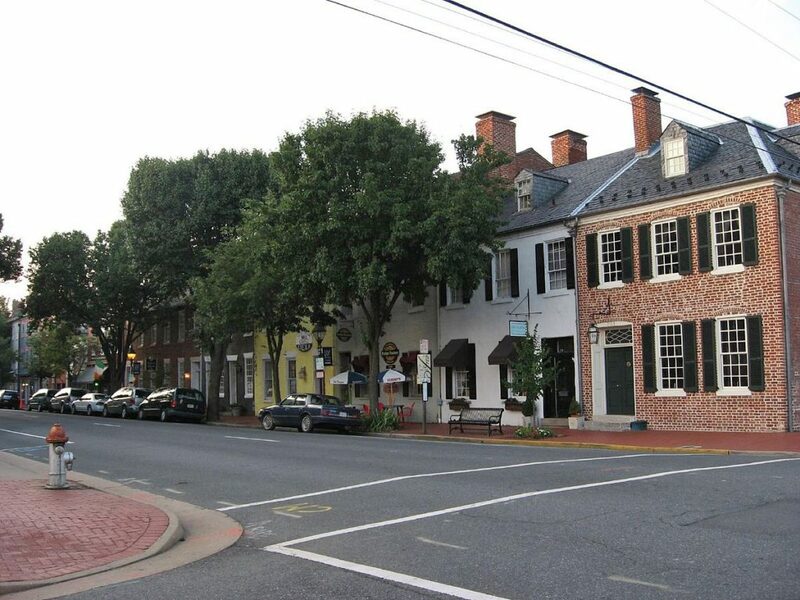 We work with both commercial and residential properties in the area surrounding Manassas, VA, and no issue is too large or too small for us to handle. Our friendly professional HVAC techs are able to find and fix any issues with your heating. Your heating system is sure to function better than ever with our ongoing maintenance systems, and we can repair any non-functioning or damaged parts to keep it running well. It doesn’t matter whether you need a thermostat replaced, the heat pump repaired, furnace repair services, or ongoing HVAC maintenance, DM Select Services has it covered. Our ongoing commitment to our local HVAC clients is clearly visible when you look at the hundreds of positive reviews on our social media pages. We’re happy to treat all of our customers with the best possible care, and we care for their heating and cooling systems carefully. If you need a high-quality local heating contractor, contact us at our local office and we’ll be happy to assist you. Call 703-844-2435 today and speak to one of our skilled, approachable technicians about your problem. Schedule a repair, replacement, inspection, or new installation today. If you need an air conditioner repair service in Manassas, VA, there are reasons that DM Select Services is the best-known company in Frederick County. We’re known for putting our customers first, each and every time. Contact us at 703-844-2435 and we’ll schedule an appointment for a friendly, skilled repair technician to visit and evaluate the issue immediately, and we’re available around the clock to assist with temperature emergencies caused by extreme weather conditions. We provide AC repairs for both commercial and residential properties. When the heat continues to rise, you don’t want to be stuck with an air conditioner on the fritz. However, air conditioners aren’t only necessary when the weather is warm – even when it’s cold outside, a broken air conditioner can let cold air seep into your office or home. If your air conditioner is leaking or has other issues, it can cause a high electric bill and make your temperature fluctuates. You need to keep your AC in the best possible condition so that your indoor air temperature stays comfortable for the people in your home or business, and so that your energy bill stays low. We have decades of experience in the air conditioning industry in Northern Virginia and Manassas, and we’ve earned our reputation by putting our clients’ needs first. This client-focused approach allows us to keep our customers satisfied for many years, as they know they can depend on us for any of their air conditioning service needs. Contact us at 703-844-2435 if you need air conditioning maintenance, central air conditioning installation, air conditioning repairs, or commercial air conditioning service. “After 25 years, our HVAC finally stopped cooling. We tried to get by with just adding Freon but the tech (Steve) informed us it needed more than that and it would be expensive. He gave us an estimate for a new system and then made sure there was a smooth hand-off to the installation team. He was very honest and courteous and even called back to make sure everything was going well after the installation.